On Tuesday, fans of the Kingdom Hearts series had more than one reason to rejoice; not only was it the series’ 15th Anniversary (from the Japanese release date), but the latest and possibly final HD-remastered collection of games from the series has been released on PlayStation 4. 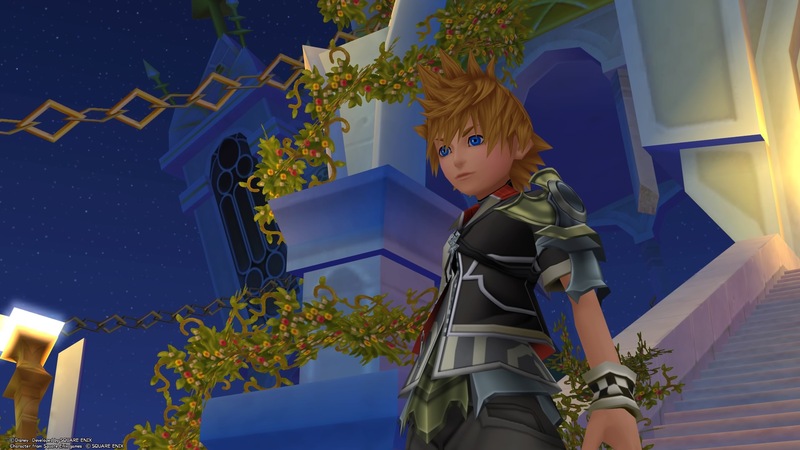 Kingdom Hearts HD 1.5+2.5 ReMix, coupled with Kingdom Hearts HD 2.8 Final Chapter Prologue, released earlier this year, makes the entire series thus far playable (or viewable) on the system. That being said, is this massive collection worth the price (especially if you just recently forked out money for the collections individually on PlayStation 3)? How does it perform? What makes it better than previous remastered collections? are all included on this one disc or download, which makes it the most massive collection in the series’ history! And, with a price of only $50 USD, this may already be an instant buy for many. What may be slightly concerning is the timing of the release, as 1.5 and 2.5 have only had a couple years since their initial releases on PlayStation 3 (3 and 4 years respectively). Many players probably already own at least one of the collections individually, and, even if you do, it’s still advisable to purchase them again for many reasons. If the sheer amount of content isn’t enough for you, there are many reasons to replay these games, no matter if it’s been two or ten years since you’ve last touched them. The graphics have been refined even more since the PS4 release. Never has the Kingdom Hearts series looked so sharp, yet smooth as it does here. Character models pop and are brightly and beautifully colored, and environments look even more vibrant with the new updated resolution. As an added bonus, all of the games now run at 60 frames per second, so everything looks that much smoother. Combat is snappy and fluid, and very rarely did I ever see the framerate drop (mainly only if there were a lot of enemies on screen). Whether you’re navigating in your Gummi ship, up the floors of Castle Oblivion or via keyblade glider, your adventures through the worlds of Kingdom Hearts have never looked so good. The games also sound amazing, due in most part to the remastered score in some of the games (this also existed in the PS3 versions). The remastered cutscenes from 358/2 Days and Re:coded look just as stunning as they did on PlayStation 3. With each “movie” running between 1 and 2 hours each, they serve to give players a detailed and exciting display of each game’s major plot, without the need to play through them directly. With the already large amount of content in this collection, these served as a nice break between games to absorb some more of the series’ sprawling plot. Additionally, Kingdom Hearts, Kingdom Hearts II and Kingdom Hearts: Birth by Sleep are all here in their Final Mix forms. These expanded versions of each game add more cutscenes, playable areas, bosses and collectibles, giving players who want to get back into the series a great incentive to do so. 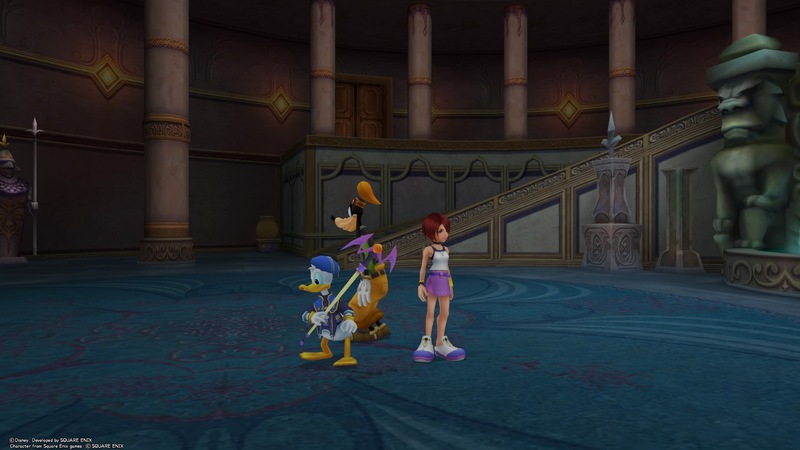 Running through the games while gaining no experience is a insanely difficulty, yet not impossible challenge, while an extra episode at the end of Birth by Sleep gives players a little more insight into events linking to Kingdom Hearts 0.2, included in HD 2.8. That being said, this port does little to improve on the issues that each individual collection suffered from in their previous iteration. Camera issues are still prevalent, especially in Kingdom Hearts Final Mix, where they have existed since the PS2 release. Some textures that weren’t updated for the PS3 port still have not seen changes in this release, making them especially stick out next to the now twice-remastered game. The ever-iconic “fish face” still exists in many cutscenes, which still manages to make me laugh, although it now looks more jarring than ever stuck on high definition character models. And although not encountered in our playtesting, many players have documented issues with save crashing (so it might be wise to go the distance and back up your saves for these games). These issues have been rumored to be fixed via a patch, but it’s always better to be safe than sorry! This is by no means a lazy port however; just as many new and refreshing fixes have made their way into the collection. Where in 1.5 there was no difficulty trophy stacking, returning players and completionists alike will be pleased to know that they can play through KHFM and Re:CoM (on Proud) and get all of the difficulty trophies upon completion. Also worth noting is how delightfully fast the load times are. 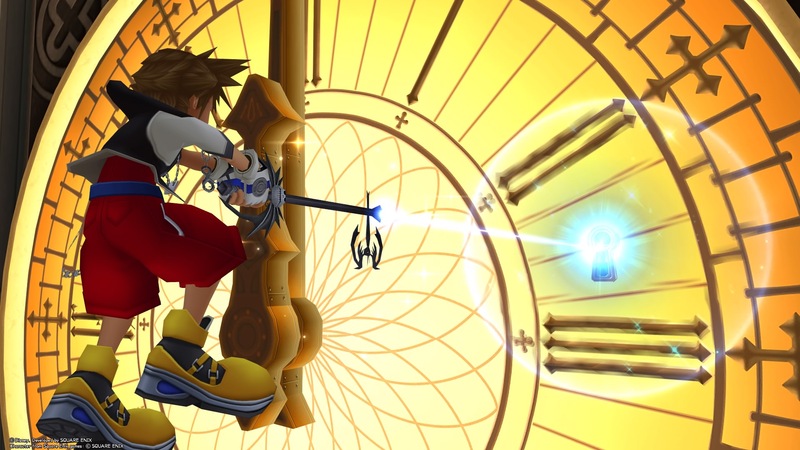 Where you’d find yourself waiting 10-15 seconds to fully load between areas and worlds, and 4-6 seconds to trigger abilities like Drive Forms and summons in Kingdom Hearts II Final Mix, the load times are almost non-existent in 1.5+2.5. From the load screen in Kingdom Hearts Final Mix, I loaded into my early save in Traverse Town in a measly 2 seconds! 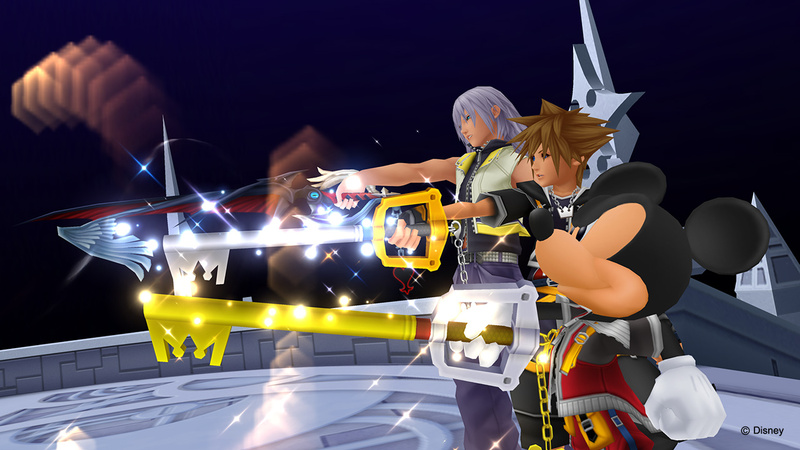 There’s a lot to cover in Kingdom Hearts HD 1.5+2.5 ReMix (hundreds of hours between the six titles), and for the price point there’s almost no excuse not to take your keyblade out one last time while we patiently await more news on the ever-elusive Kingdom Hearts III. 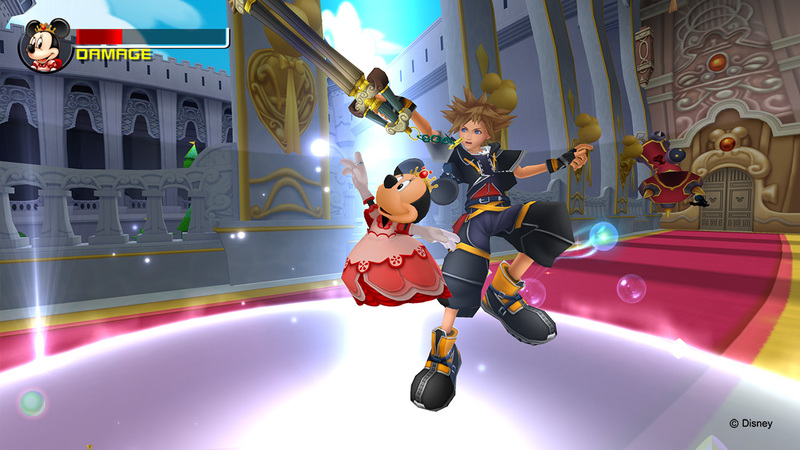 And for players eager to get into the series, it is now easier than ever to experience the adventures of Sora and Co. 1.5+2.5 is both the most massive and economical addition to the series, and while some minor bugs and problems still exist, it is an overwhelmingly positive experience for any action RPG fan. Purchasing this collection, Kingdom Hearts HD 2.8 Final Chapter Prologue and downloading the mobile game Kingdom Hearts Unchained x (soon becoming Kingdom Hearts Union Cross) will allow players to cover the entire series for under $100 USD! 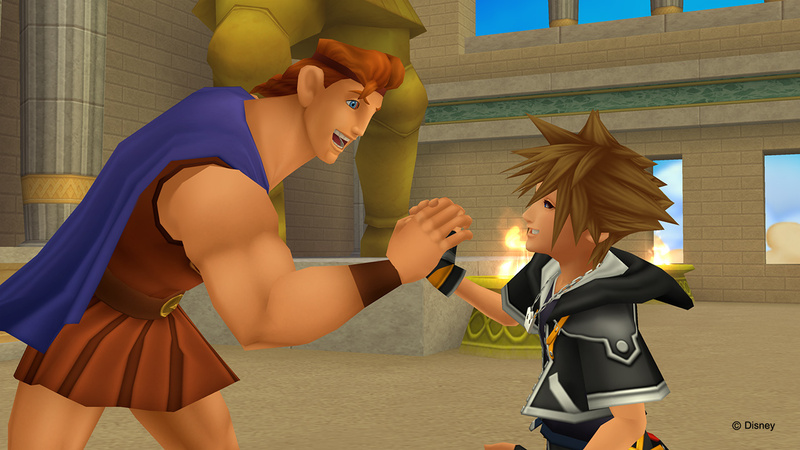 Kingdom Hearts HD 1.5+2.5 ReMix is available now on Playstation 4 in both physical and digital form. A copy of this game was provided to KHInsider by Square Enix. Good review, now I wish some would get it that that's it. No more remasters, all that's left is Chi and KH3. In my opinion, I find the review a little bit biased since it fails to mention the other major glitches such as Sephiroth's Meteor attacking being nearly impossible to dodge, Vexen's anti-form spawning finishing in just 10 seconds or the final Xemnas battle having glitchy commands. It's still dodge-able, the person in the video only got hit once despite all those Meteor's floating around. In my opinion that's considered a success. Which was fixed in Patch 1.02.
or the final Xemnas battle having glitchy commands. I've heard rumblings that the reaction command issue was a thing in the PS2 release as well, it only grew in notoriety with the PS3 release. Maybe it was intended to be this way? I understand that glitches and problems can be a big disappointment to some but the whole stutter issue, which was blown WAY out of proportion for what it actually was, says to me that there's a time and a place to discuss these issues before jumping down peoples throats about them. Josh may not have experienced any issues and I don't think he should be expected to talk about issues that others have when he's reviewing the quality of work he experienced. He did mention save crashing which is a 1000 times more major than any problems you listed. Um... not mentioning every single glitch is not an indication of bias. This is a review; only a few examples are required to get the point across. A detailed list is best saved for a more appropriate place, like in the bug report threads or emails to customer support. pretty light on the issues but I absolutely get why you guys do reviews this way and I don't expect any less. Disagree completely on this not being a lazy port. They literally just flipped on 60fps (without even testing it) and called it a day. blindly defending what is obviously a flawed port is dumb, but honestly you're just way too crazy about this, dude. This collection is indeed a great deal for anyone who hasn't gotten one or both of the ReMixes and still has never played at least two of the games. 15 years of games, released across five gaming platforms, for $50? Damn! I already bought both previous ReMixes a few years ago, though, so I have no interest in this collection. Maybe one day, when the price goes down a bit.